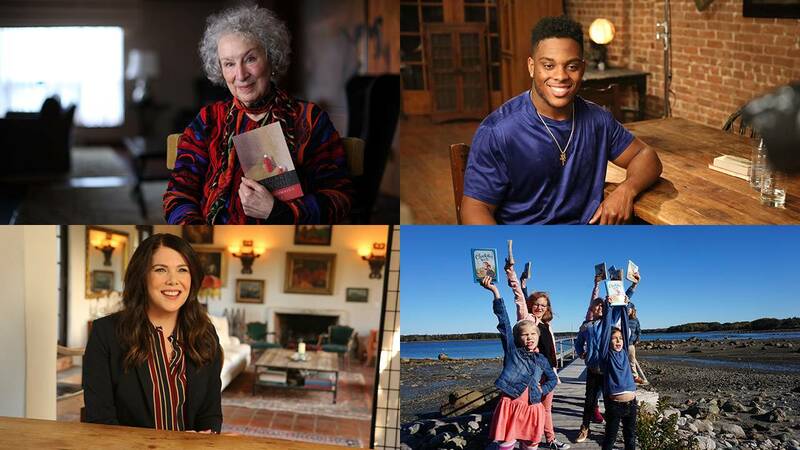 Clockwise from top left: Margaret Atwood; Devon Kennard; school children visiting the farm that inspired Charlotte’s Web; Lauren Graham. PASADENA, CA; January 16, 2018 – Today at the Television Critics Association Press Tour, PBS President and CEO Paula Kerger announced key authors, celebrities and notable figures in the entertainment, sports, news and literary worlds who will lend their voices and passion to THE GREAT AMERICAN READ, including Margaret Atwood, Lesley Stahl, Devon Kennard and many others who, throughout the series, share their personal stories and connections to their favorite titles. THE GREAT AMERICAN READ, a new eight-part television competition and nationwide campaign created in partnership with the production company Nutopia, explores the power of books and the joy of reading through the lens of America’s 100 best-loved novels, as voted on by the public. Kerger revealed that PBS will also partner with top literary organizations and its nearly 350 member stations nationwide to extend the reach of THE GREAT AMERICAN READ to every community. An interactive website with detailed show information, links to local events, episode descriptions, interactive video content, social share features and much more will be available. Photographs, short-form videos, animated graphics, live streams and behind-the-scenes footage will fuel social media integration of THE GREAT AMERICAN READ to encourage reading, conversation and voting. THE GREAT AMERICAN READ is a production of Nutopia for PBS. Executive produced by Jane Root, Bob Kirsh and Michael Cascio. Co-executive produced by Rebecca Ratliff Cameron. Produced by Katherine Linton, Kate Chumley, Justine Simonson, Michelle Smawley, Siobhan Lockhart, Annie Wong and Tomek Gross.